The internet has impacted on all business sectors, leading to the decline of some, and creating opportunities for others. The world of accounting is no different. Cloud accounting packages (some of which have been around for almost a decade) and now changing how business record their transactions and meet their compliance needs. The right software can also provide far more than just compliance based accounts. We have implemented Xero, the foremost online accounting package, as the online accounting solution for many medical professionals. The right online accounting software is capable of giving businesses of all sizes detailed, accurate and up to date management information at the click of a mouse. This type of functionality was, until very recently, the preserve of large, complex (and expensive) accounting software. Now that software can be yours from just £49+VAT /month. As well as choosing Xero as their software of choice, many medical professionals have chosen JacRox Chartered Accountants as their professional advisers to maintain the Xero software and accounting records. Xero is the software of choice because of the ease of integration with third party systems/databases. Here at JacRox, we have experience in setting up relevant API keys and passwords to integrate Xero clients with other third party systems/databases. So once you are ready to invoice, your system/database can create a sales invoice directly in the Xero accounting package. 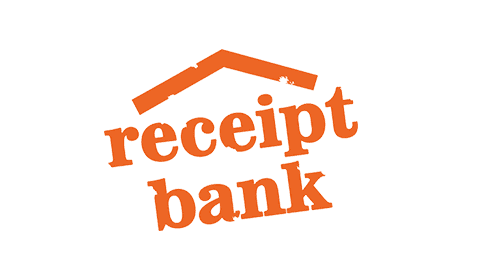 There is no need to manually enter sales invoices, and if you use JacRox to undertake your accounting and bank reconciliations, we can reconcile the money received from third party clients. This gives you an accurate and up to date picture of the clients where fees are still outstanding. All your accounting needs can be met without you, or your secretary, having to maintain detailed record and spreadsheets. This saves you time and money. Why not leave it to the accounting experts? We know from many years of dealing with medical experts, that understanding who the debtors are, and how much is owed to you, is very difficult. Using Xero and integrating it with your system/database, you can take control back, and know exactly where you stand with each client. No more receiving payments on trust. Xero will help put the medical expert back in control. As Xero is an online cloud accounting package, any number of users can use the software concurrently. And so if you already have a trusted accountant, they can login and review the transactions and advise you of your VAT liabilities etc. They can also use the software to prepare your annual accounts. Or of course you could choose JacRox as your professional advisers. Some experts are using Xero linked with third party databases to record only the transactions that come from various sources. In that instance, they are not changing their accounting systems for their other sources of income. Other experts are taking advantage of the efficiencies of cloud accounting and moving all of their accounting to a single Xero package. The system is very flexible. Some experts have chosen to form a separate limited company and use that new entity for medical cases. We can form new companies with 24 hours. Xero is very easy to use. The feedback from other users has been extremely positive. There are a number of other advantages, as outlined below. Tailored solution allowing uniformity across a group of experts who are affiliated. You can find out more about the Xero accounting solutions that we offer by calling our team on 0161 832 4451 or email hello@JacRox.co. Click here to download our Medical Experts pdf. which includes package details.